Need new apps for your favorite device? 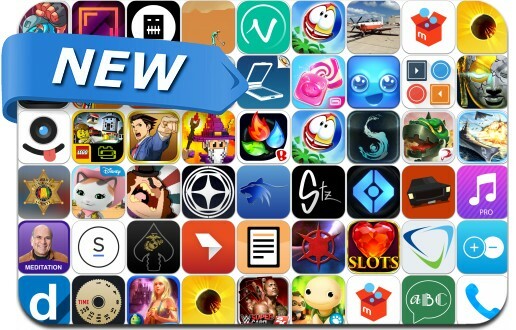 Here are 50 iPhone, iPad and iPod touch apps that just hit the App Store. This new apps alert includes Pako, Lego Fusion Town Master, Battle Group 2, Spellfall, ArcaneSoul, Croc Colors, WWE SuperCard, Humin, Phoenix Wright, Squares: Puzzle Game, Steeze, Star Realms, Happy Cube Death Arena, Dino On Fire, Airheads Jump, Sentinel 4: Dark Star, Candy Block Breaker and many others.